Starbucks founder Howard Schultz is facing criticism from the left as he announces he’s “seriously thinking” of running for president as an independent in 2020. On this maneuver, we have no comment. But on the logo that can be found on his website, we offer a venti “WTF?” Because his logo is his name. And on top of that name he has apparently…signed his name. 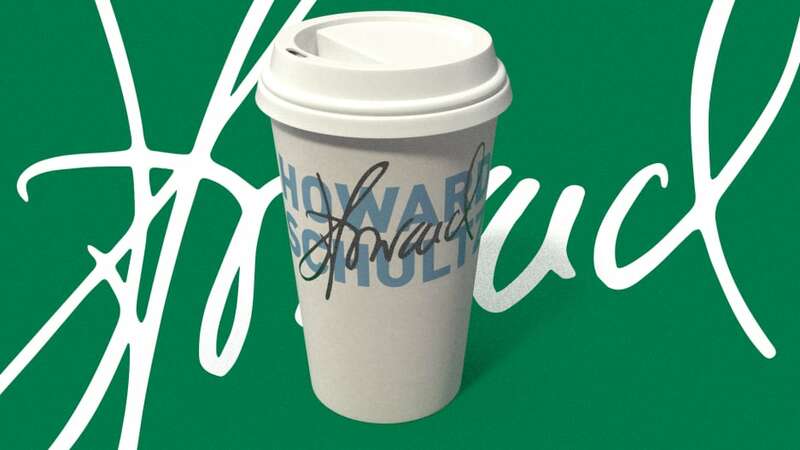 It’s as if the celebrated entrepreneur, famous for both launching Starbucks and resuscitating the brand in 2008, has been operating under a single strategy all along: Sign your name on everything. Coffee cups. Logos. Someone else’s yogurt left in the office fridge. The only thing standing between you and your goals is a Sharpie and the patience to wait just long enough for your finger not to smudge the writing. Will Schultz actually use this logo as his campaign logo, if he runs? If so, it would be as tragic as when Scott Walker sold eyeglasses or Marco Rubio dotted his name with America itself. Guest Author: Mark Wilson is a senior writer at Fast Company. He started Philanthroper.com, a simple way to give back every day. His work has also appeared at Gizmodo, Kotaku, PopMech, PopSci, Esquire, American Photo and Lucky Peach.